Early in the morning on Wednesday May 11th five of us set off on a trip out west to participate in Royal Canadian Marine SAR’s SAREX 2016. 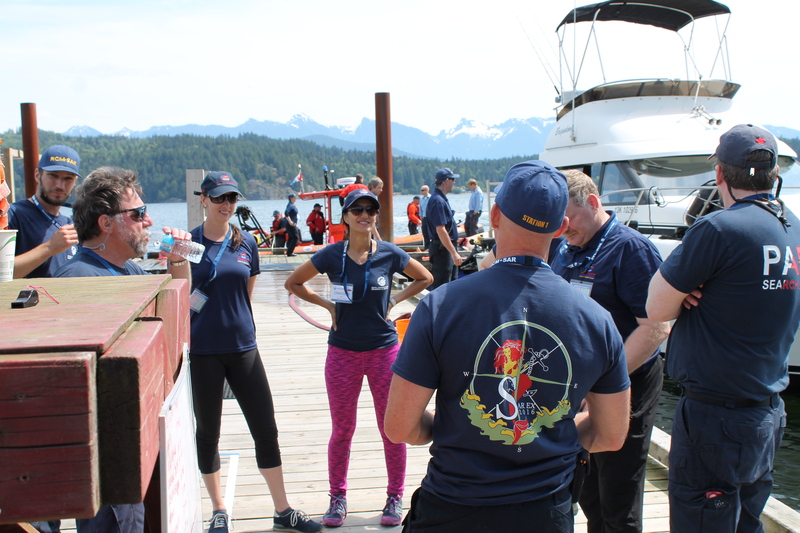 This was a great opportunity for many of us to have an educational vacation in British Columbia with our fellow SAR volunteers. 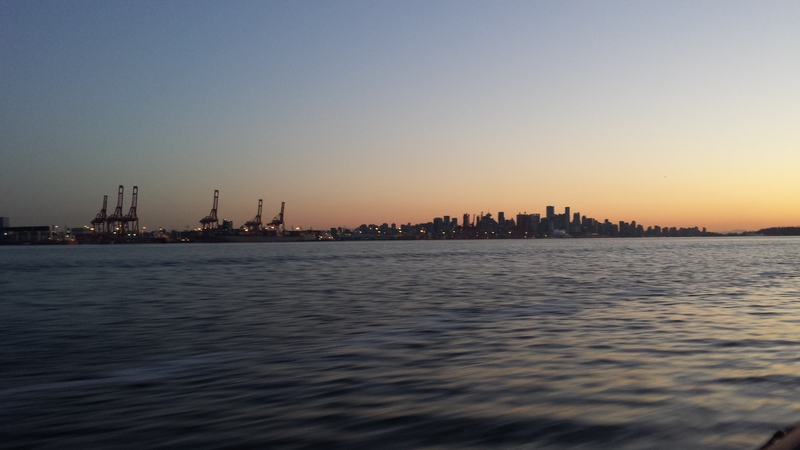 Given the distance involved, however, we didn’t just want to limit ourselves to the fun weekend of SAREx and so headed out a few days early to do a mini tour of Vancouver and Vancouver Island while taking in as many nautical related opportunities we could. A few of us took a very early flight and were able to arrive in Vancouver in time for breakfast. We found a nice restaurant on Granville Island named Dockside and had a wonderful breakfast gazing out over the docks which included some beautiful yachts. Of course being a little later in the day back in Ontario we were able to convince our hosts to let us have an early beer to wash down the meal. So with glass in hand and our appetites appeased we enjoyed a leisurely morning. Meal complete we headed back to the hotel and waited around for our remaining travellers to arrive. Unfortunately our rooms had not been cleaned from the night before so we had to make do with an afternoon nap in the hotel lobby. 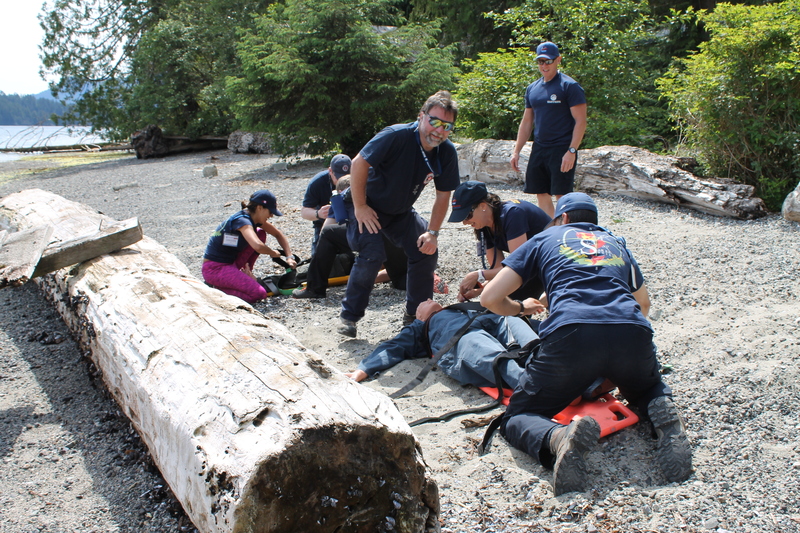 Fully refreshed and settled into our rooms we had an exciting evening planned as our first RCMSAR visit was scheduled with Station 2 North Vancouver. Our first stop was for a quick bite at the local White Spot restaurant followed by a quick taxi ride to Harbour Green Park. 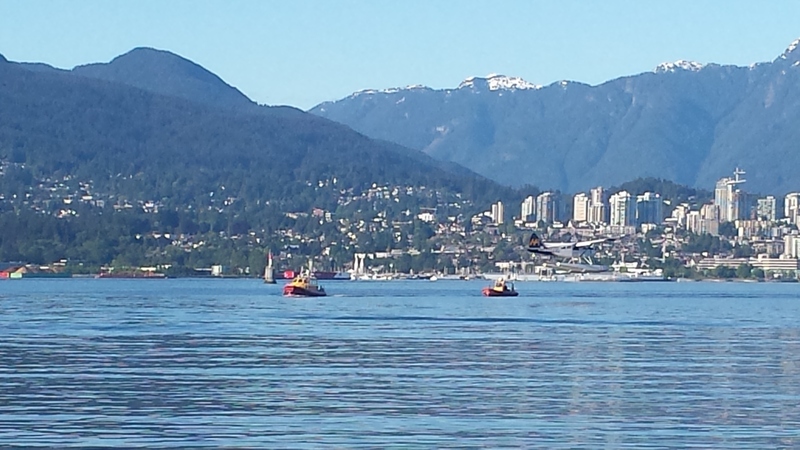 It was here we were picked up by both Station 2 vessels (Falkins Class II and Titan 249 T-Top RHIB) for our tour. 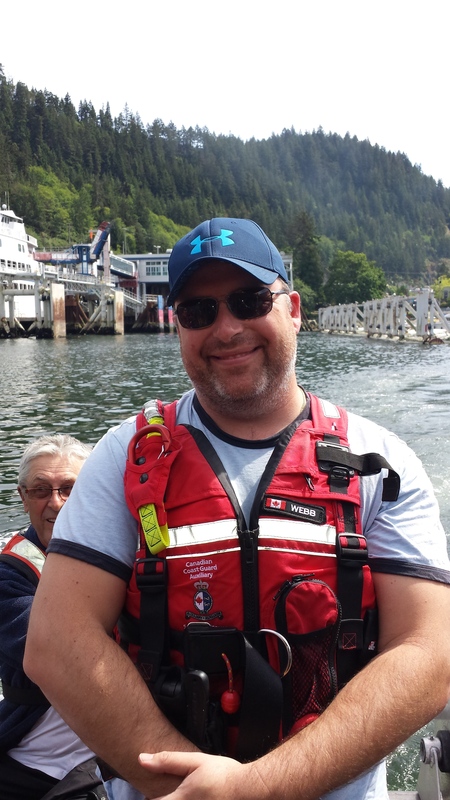 Dan and his crew were amazing hosts and took us on a scenic tour including not only Vancouver but also a trip up Indian Arm to the Wigwam Inn at the very end. On the way we saw a number of sites including Silver Falls, where all the helms get practice dipping the vessel’s bow into the falls, as well as the powerful Granite Falls. 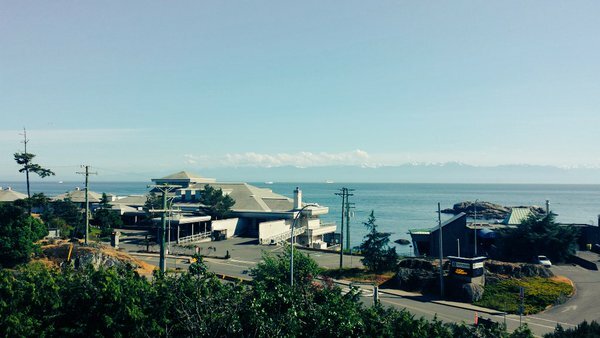 It was a wonderful opportunity to see just how close the hustle and bustle of Vancouver is from the natural beauty of the Coast Mountains of BC. Once we arrived back into Vancouver harbour they didn’t just drop us off where we boarded but added in a scenic waterside tour of Stanley Park and past English Bay, a “parking lot” for incoming container ships, before heading down False Creek, past the CCG station at Kitsilano, to a dock right by our hotel. It was a nice door-to-door treat to end an amazing evening. 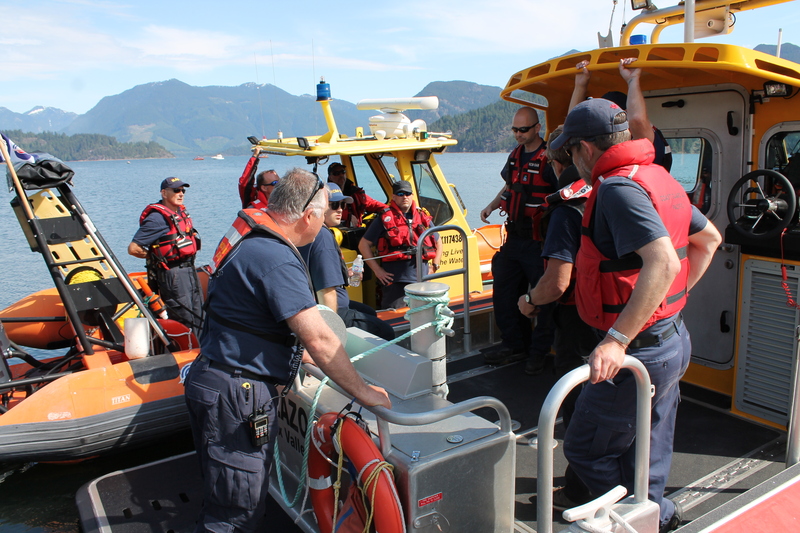 My biggest takeaway from the night was not the local scenery, however, it was the insight and comradery we were able to share with our RCMSAR colleagues, a crew we meet for the first time tonight. 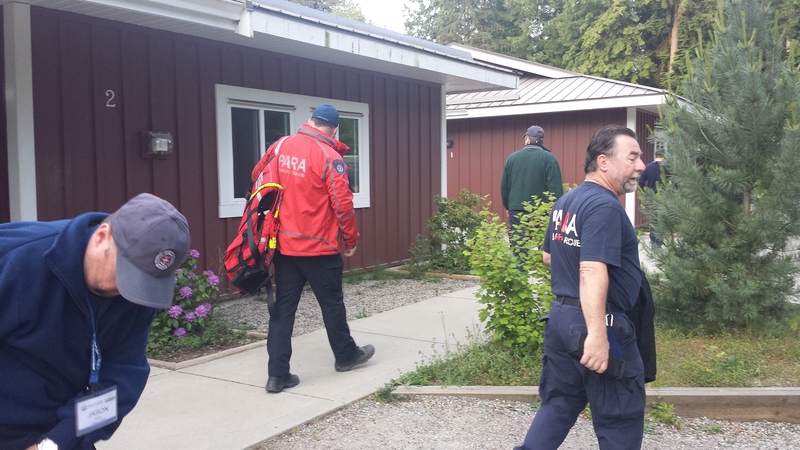 Search and Rescue really is a small community but we share an unbreakable bond of doing what we do to help others who may not be able to help themselves. Once back in Vancouver, we decided to celebrate our first night in BC with a trip to a local Blues club known as The Yale Saloon. We enjoyed an evening of local beers, good music and some great laughs. It began a real bonding experience that was to last, and grow, throughout the remainder of our trip out on the West Coast. While we may have gotten back later than we had originally intended, it didn’t change the fact that our itinerary was not concerned by this at all and at 5:45 am we all sleep-walked into cabs for a journey to the Tsawwassen Ferry Terminal for our 1st of many ferries, this one taking us to Swartz Bay on Vancouver Island. The crossing was as smooth as one could expect and, after enjoying the onboard brunch, we spent as much time on deck as possible. 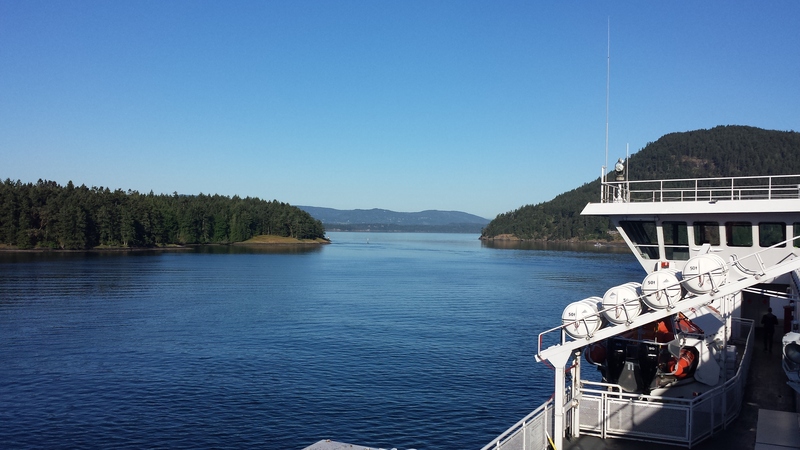 The trip was highlighted by both natural beauty including an otter frolicking off the coast and man’s ingenuity with tricky sequence of turns between Galiano and Mayne Islands. 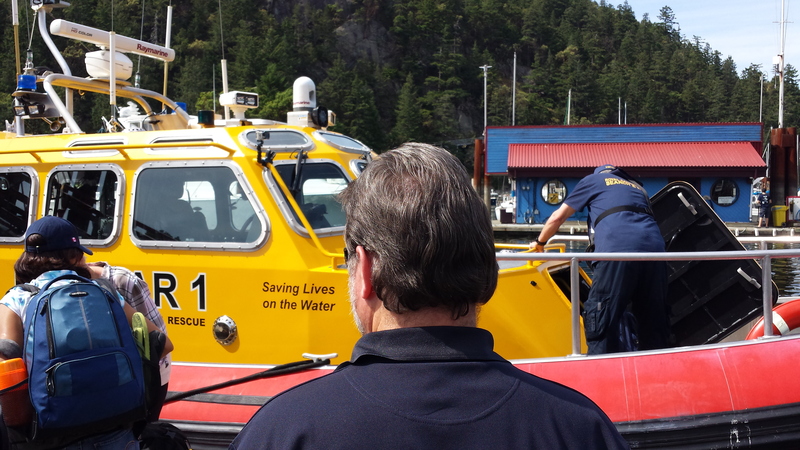 Once on the island we rented a car and travelled down the east side, passing by Victoria on our way to Sooke, home not only of local RCMSAR station 37 but also to our first stop, the RCMSAR’s new offices and training centre. 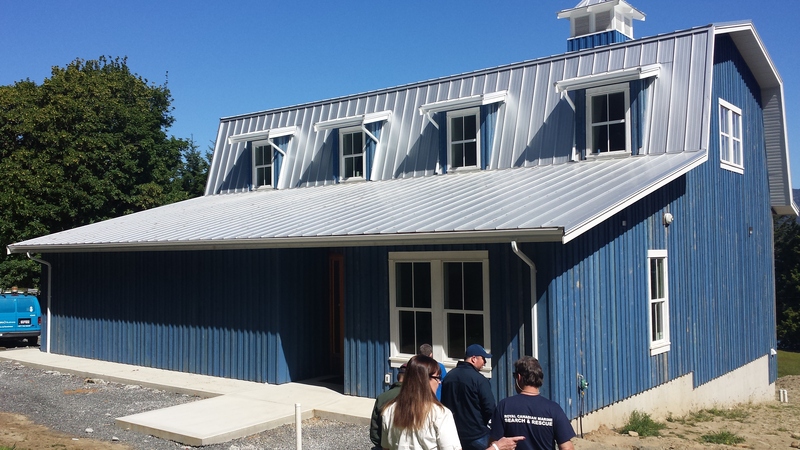 Set on a breathtaking piece of land we were able to meet with Pat Quealey, RCMSAR’s new CEO as well as with Francois Michaud, RCMSAR Training Officer who was kind enough to give us a full tour of the new facility. This was highlighted by their new simulator which was receiving its finishing touches in preparation of going live in the upcoming weeks. Despite his busy schedule with launch date so close, Francois was very kind to talk to us, answer our own inquiries and share with us his own insight on the training of SAR resources. 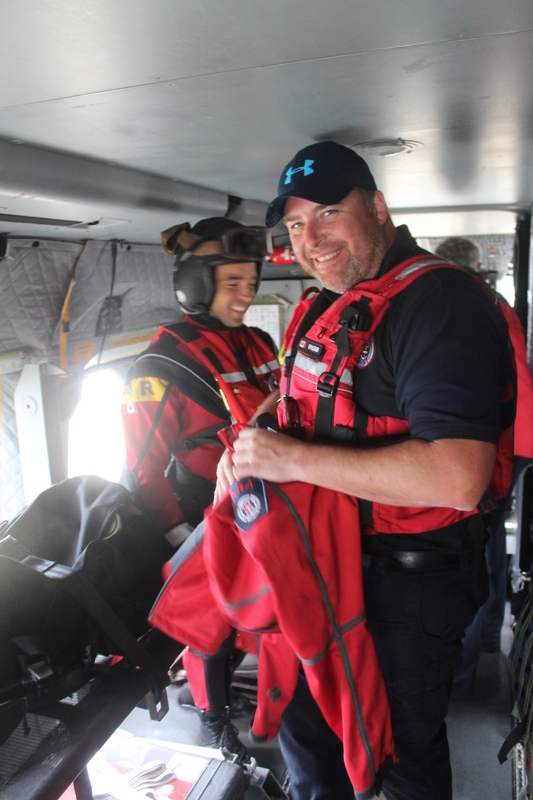 We left Francois to get back to his busy day and climbed back into the van on our way to Sooke Station 37. 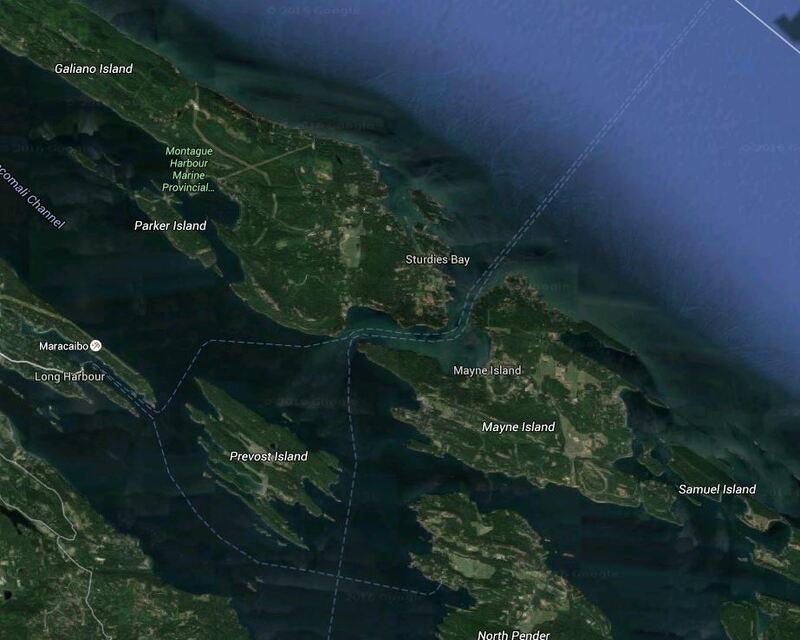 While we might have gotten a little lost but some quick navigation skills (thank you Google maps) and a couple extra turns to port we were able to survive a very bumpy nail-biting trip on small hilly island roads to pilot our way to Sooke. Climbing quickly out of the car (one or two may have actually kissed the pavement but no pictures to confirm this) we made our way down to the dock and onto Station 37. Rob was kind enough to give us a quick tour of the station. 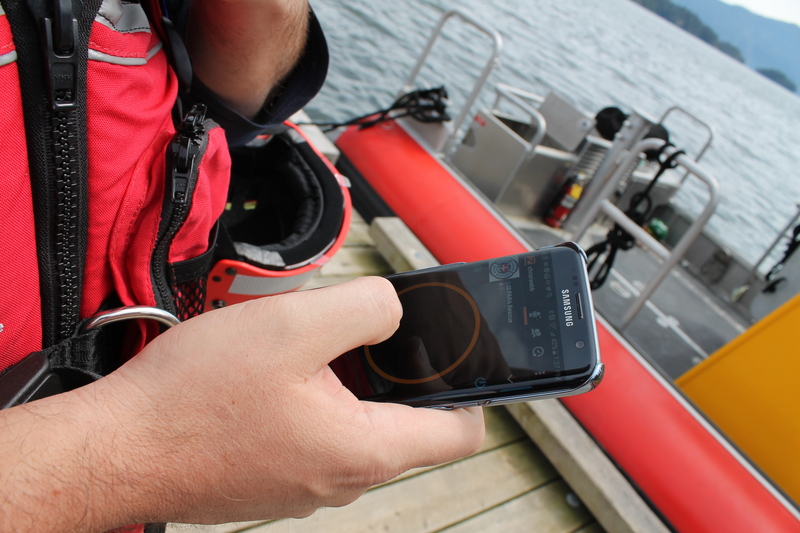 An added bonus was a little jaunt in the Falkins Class II vessel around Sooke Harbour. A quick lunch in Buffy’s then it was back on the road. 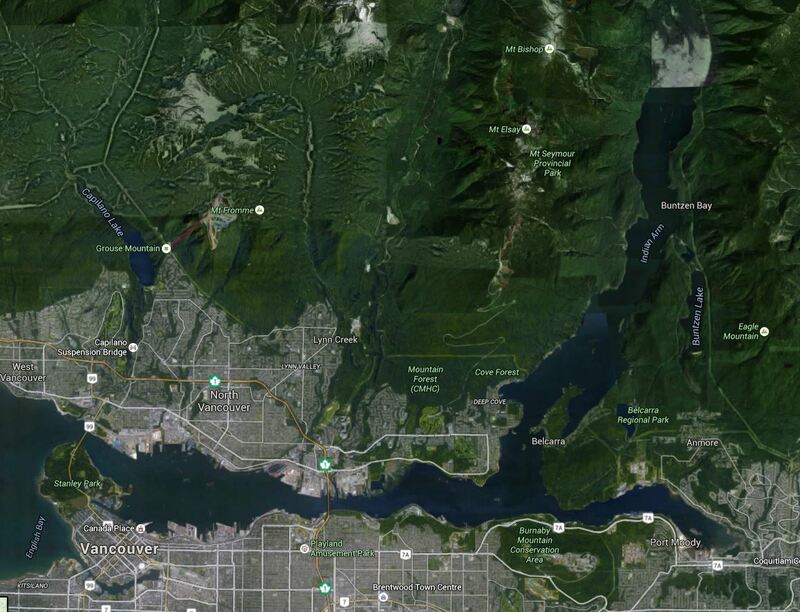 This time we were headed, after a pit stop for sleeping bags (see later), for CFB Esquimalt. We were not only staying in the Wardroom for the night but thanks to Colin’s naval past, we were able to get a walking tour of the entire base. 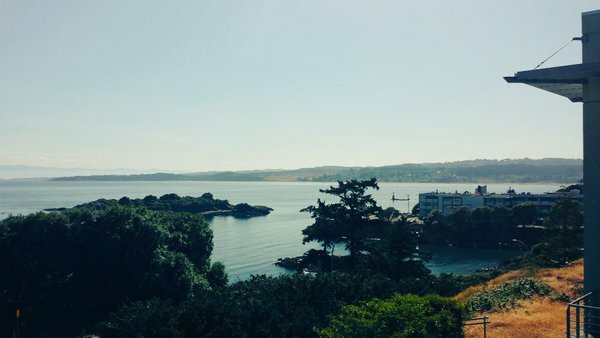 Our tour included the Admiral’s House, the offices of JRCC Victoria as well as a walk along the docks which were hosting a number of Canada’s Pacific fleet. One highlight was to see the base’s dry dock in use, quite an amazing site. It was a wonderful opportunity to see our hardworking Navy colleagues in their own home base and despite the size of the base, we and our feet can confirm it is very large, we enjoyed every inch which included some wonderful insight from our host. Back in the car we were off to visit our final RCMSAR station of the day. 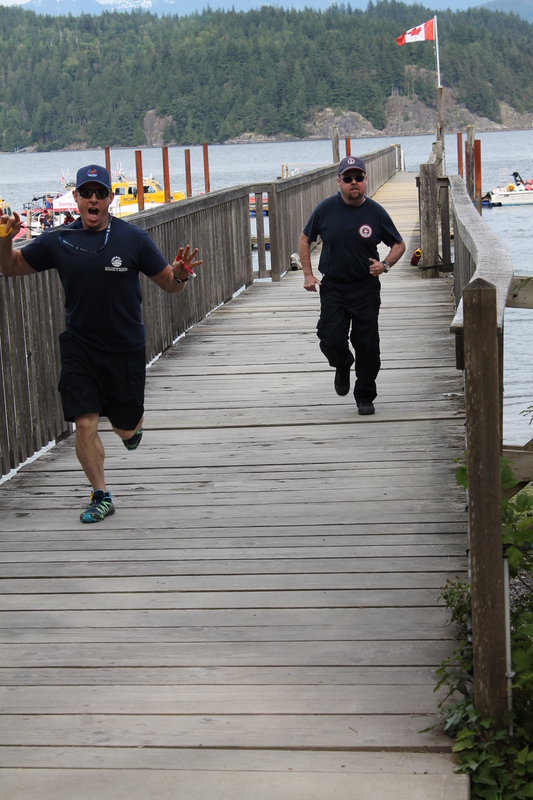 While Victoria has a number of stations, we were off to see Station 33 at Oak Bay. This was a real chance to share some great insight into fund raising, youth programs and overall experiences running a search and rescue volunteer organization. It was a wonderful conversation with our hosts Terry and Kim. We probably spent more time than we had originally planned and unfortunately used up the whole evening but it was such a good chat we didn’t want it to end. 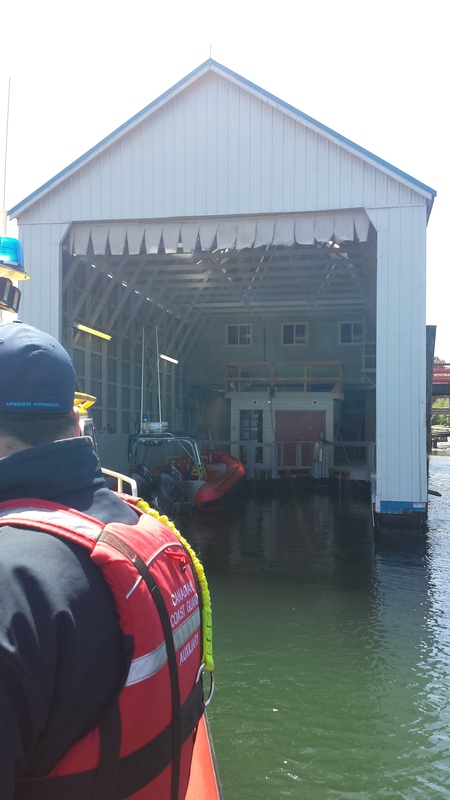 To top it off, we saw the boat lifting system they use in the boat shed as well as their otter-away measures. A cute little critter to us is a bit of a nuisance to those who work on the coast as they try to nest in their sheds. 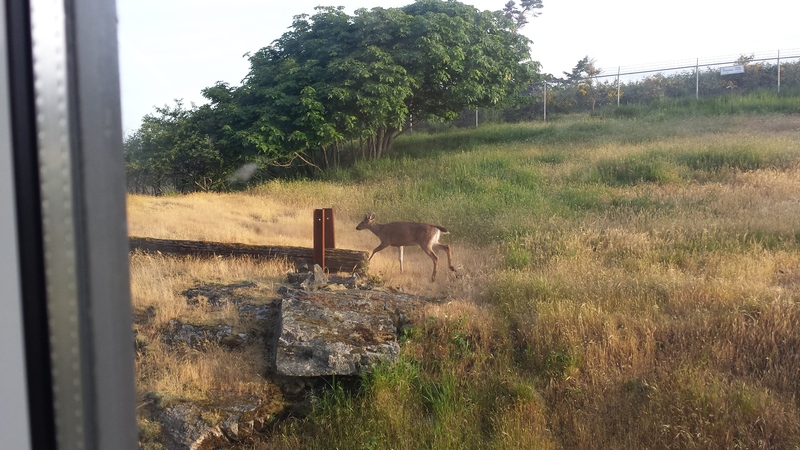 Friday morning, waking up in the room we were treated to some visitors just outside looking for their morning meal. A super start to another busy day and our second ferry trip of the journey. 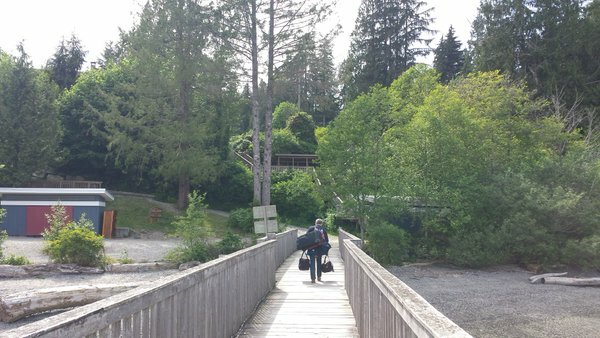 We travelled quickly up the east coast of the island and despite a stop off for coffee and breakfast we were able to reach Nanaimo, drop off our bags at the ferry terminal and deliver the rental mere minutes before the end of day deadline. So we were once again on our feet and when the ferry arrived at the dock we joined the throng of passengers up the gang plank to find seats. 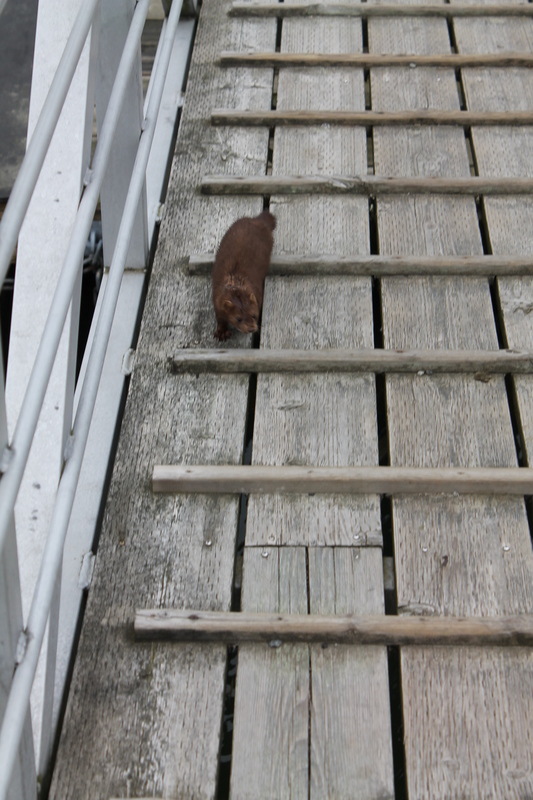 Another easy crossing but this one had an extra special treat. 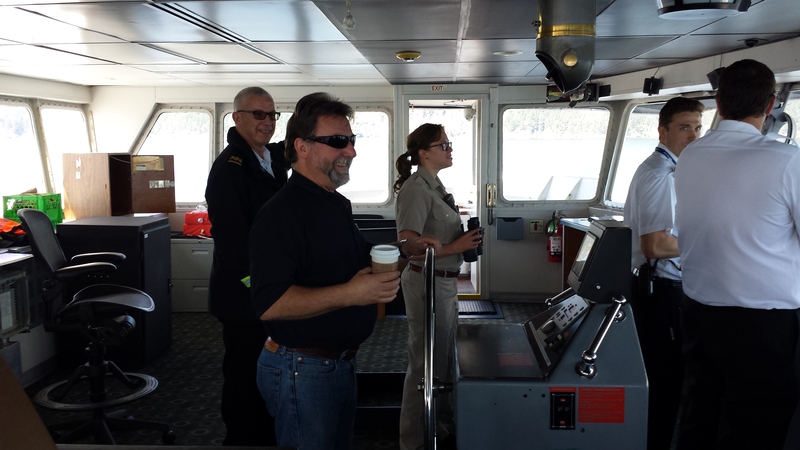 Thanks once again to key connections, we were able to get a tour of the bridge of the ferry and see the Captain and his crew hard at work. 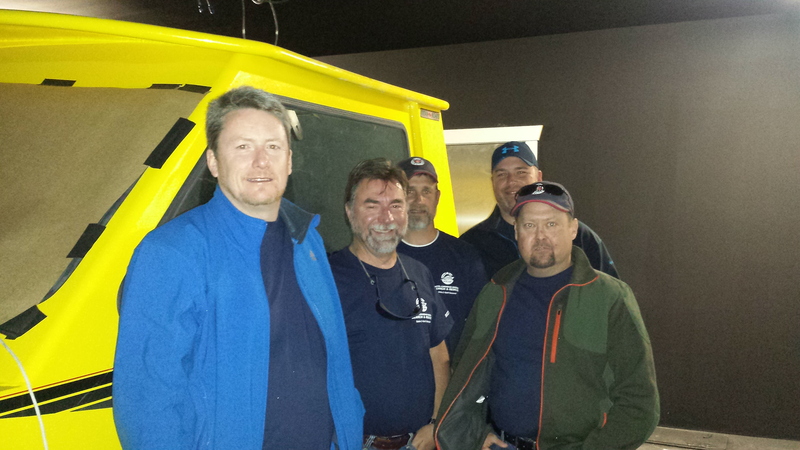 It was another once in a lifetime opportunity to meet and talk to some hard working folks in the marine industry. It’s always a pleasure to share our on-water experiences and stories. They were very generous to let us stay about 40 minutes with them learning about their perspective on the coast. On the way we were able to see our next destination, Gibsons off in the distance and with that our anticipation for the weekend ahead grew. 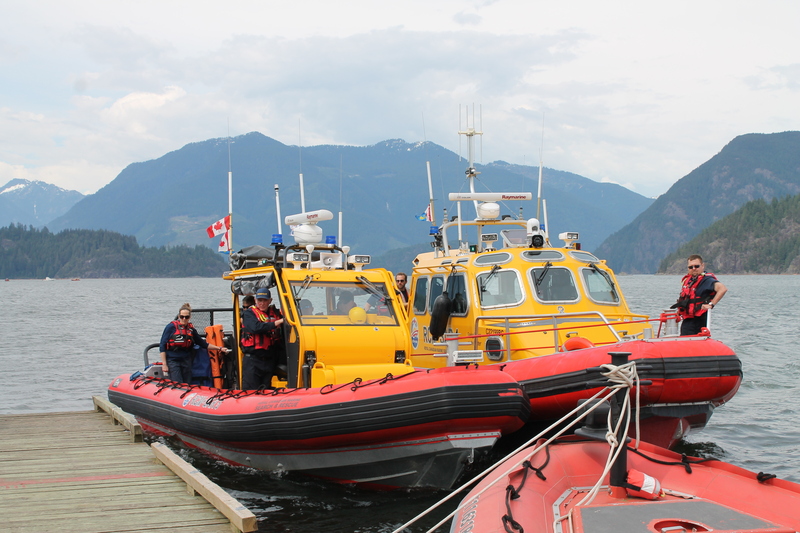 We docked at Horseshoe Bay, home of RCMSAR Station 1, West Vancouver. As we had some time to kill before our trip to our final destination, YMCA Camp Elphinstone, we enjoyed a beer and a bite at The Boathouse. 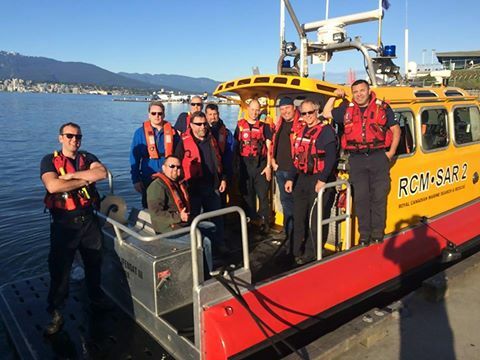 As a special treat, the crew of Station 1’s Falkins Class vessel Craig Rae Spirit, offered to take us over to Gibsons and RCMSAR’s SAREx 2016. Once we had loaded all of our luggage into the vessel, we took off on a quick jaunt to the camp. 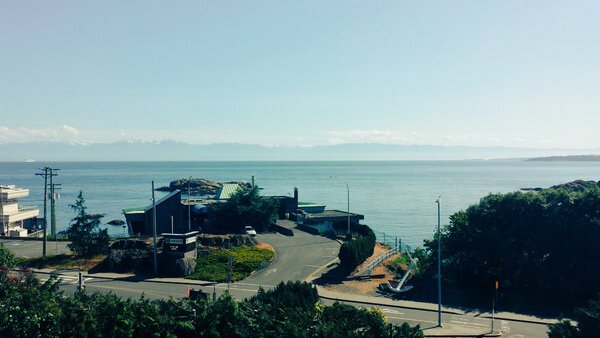 It was an exhilarating experience standing on the deck as we whisked across to Gibsons. Once we arrived, we unloaded our kit and headed up to the camp to register and settle into our rooms. 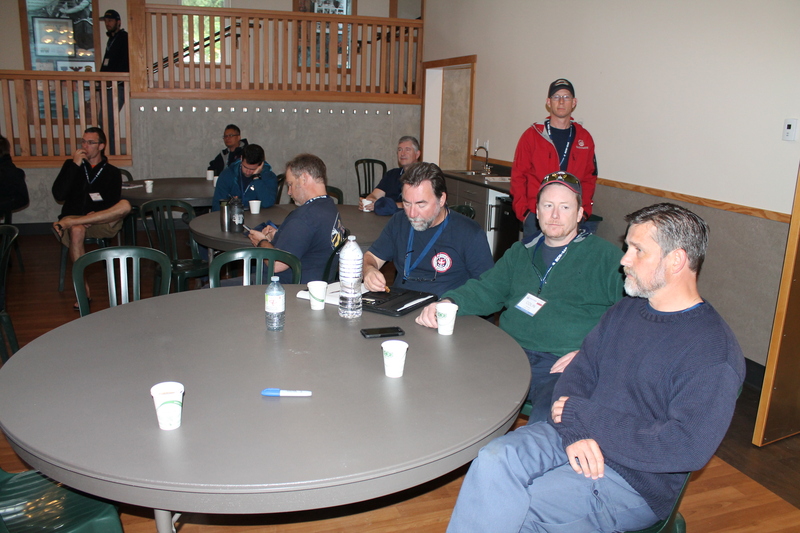 The rest of the participants arrived and Friday night was spent getting to know a lot of our fellow volunteers from across lower BC. 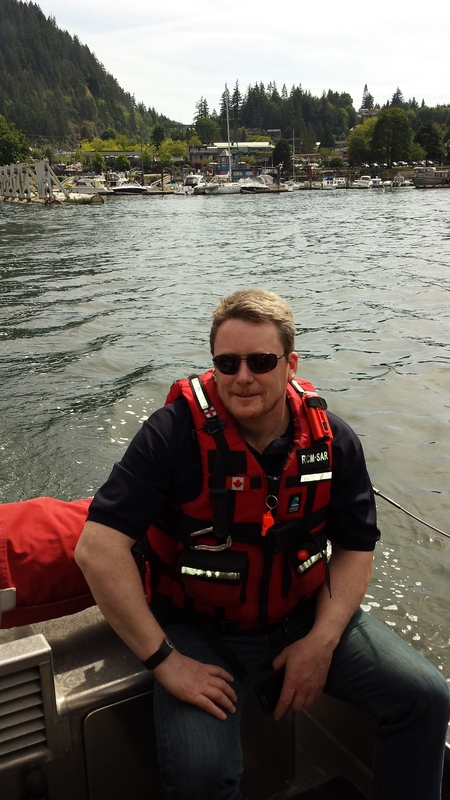 It was a real eclectic mix of new members, experienced crew and veteran coxswains. 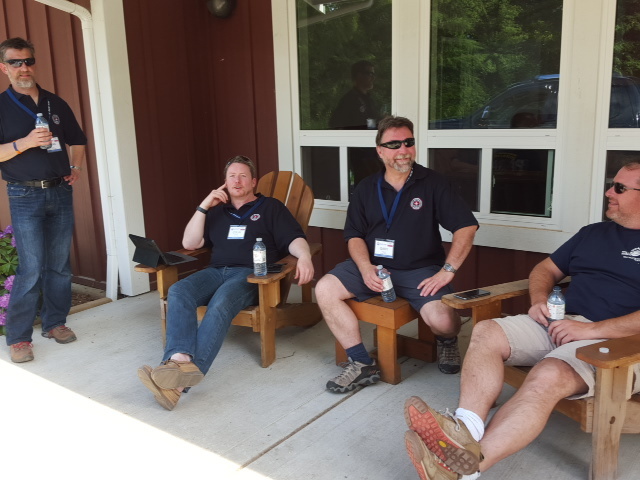 Our hosts from Station 1 really went all out to provide all of us with a warm and friendly environment to share our experiences, swap stories and a laugh or two. I am half convinced the RCMSAR members were holding a scavenger hunt with locating PARA members as the final challenge but we had so much fun meeting everyone that it was a pleasure to be a part of it. We arrived at the camp already tired from our busy tour but we all knew that the next two days would be packed. Not wanting to miss a moment of our adventure we regretfully found our way to our bunks and newly purchased sleeping bags for a night of slumber. While we cannot mention any names at this time suffice it to say that night we also learnt a thing or two about the sleeping habits of some of our fellow members so some got more sleep than others that night!! 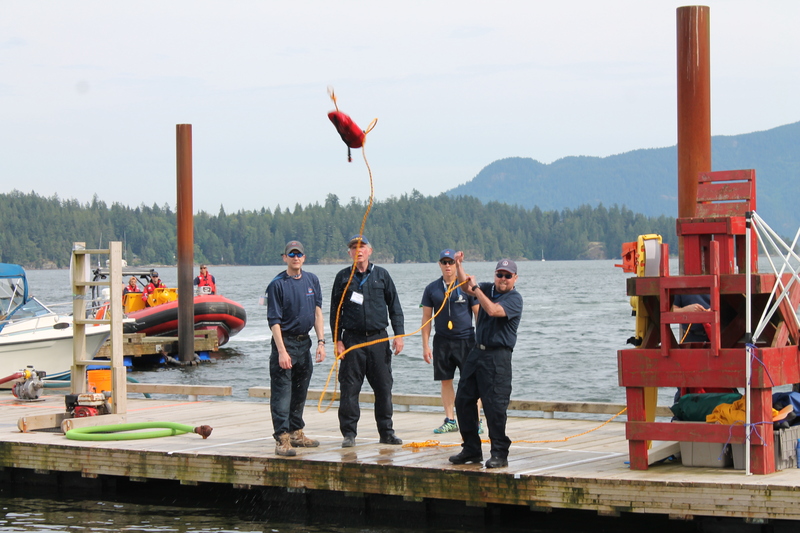 Both the classroom and on-water sessions were a great opportunity for us to share our own knowledge with that of our RCMSAR colleagues. It was also a way to pick up some new tips. and tricks we hope to bring back to Ontario. As for the classroom sessions, so much great stuff, including a very interesting session on coxswain leadership and another one on Critical Incident Stress Management. Both speakers, RCMSAR members did a great job and I know I learnt a lot. While our hosts had planned out a very intense and action-packed learning experience, there was also time for one or two special treats for us. 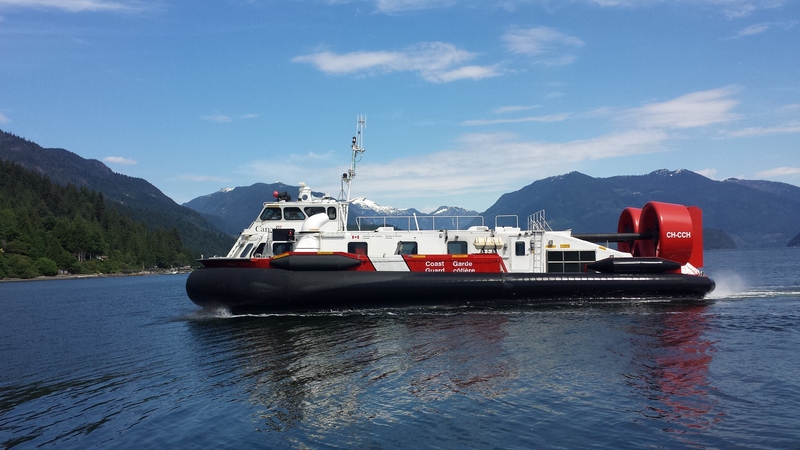 The first arrived on day one in the form of the CCGH Penac, one of the Coast Guard’s hovercrafts stationed at CCG Station Sea Island, at the mouth of the Fraser River. 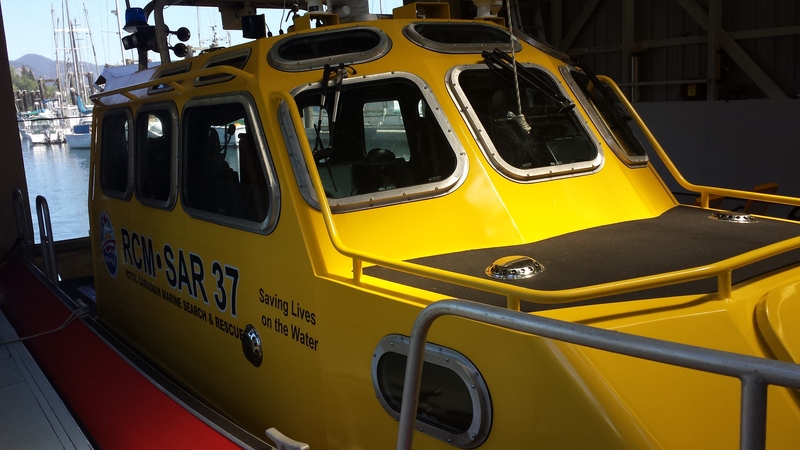 She docked on the beach and we were able to climb onboard for a tour of the diving equipment and vessel controls as well as take some time to ask the crew about her operations. 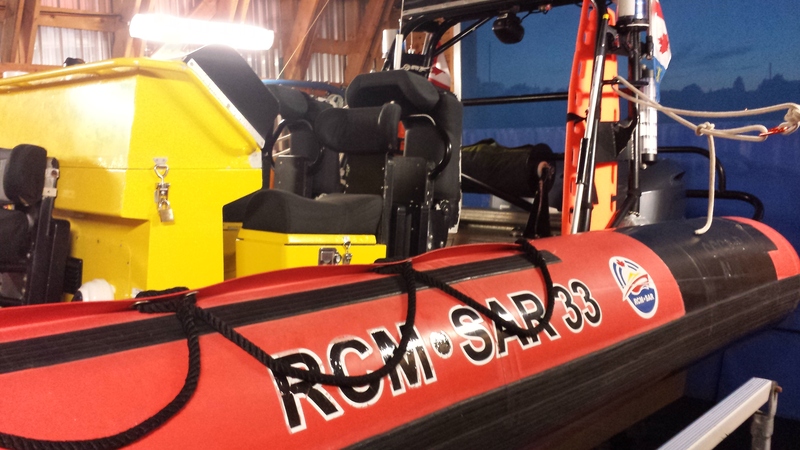 It was certainly a first for us from Ontario and for many of the RCMSAR members. 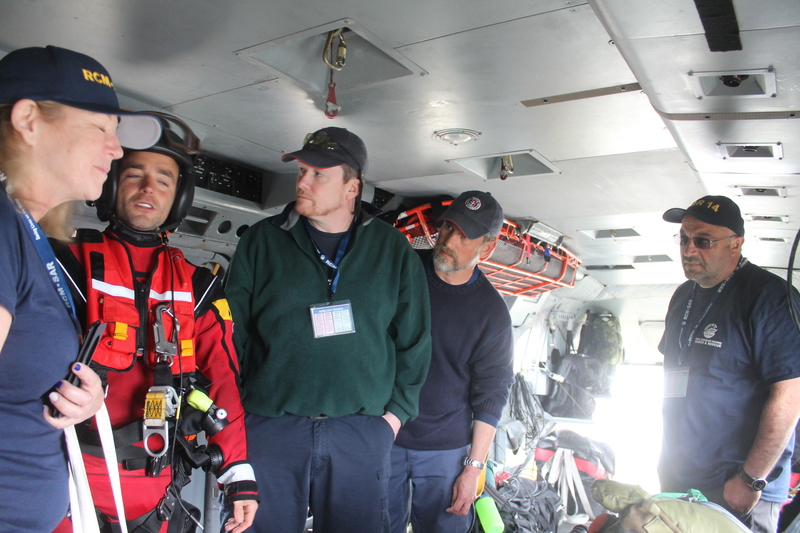 On day two the CCGH Penac returned for a second visit and some local diving but the special guests on day two where 442 Transport and Rescue Squadron out of CFB Comox. The crew of one of their CH-149 Comorant’s came out and did a SAR Technician drop and pick up. 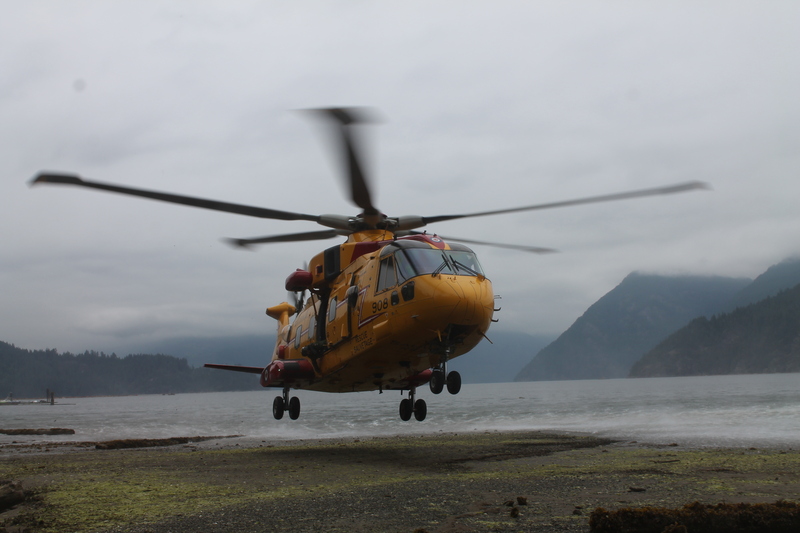 This was followed by a landing on the beach to allow all of us a chance for a quick tour of the helo and again take some time to ask one or two questions of the pilots and SAR techs on board. For us eastern folk, we are used to the 424 Transport and Rescue Squadron’s CH-146 Griffon out of CFB Trenton so this was an extra special treat to see how the other half live. So you can already see we had two very full days of action packed learning and experiencing the west coast. With this in mind you would think that our nights at SAREx 2016 were spent sleeping but nothing is further from the truth. 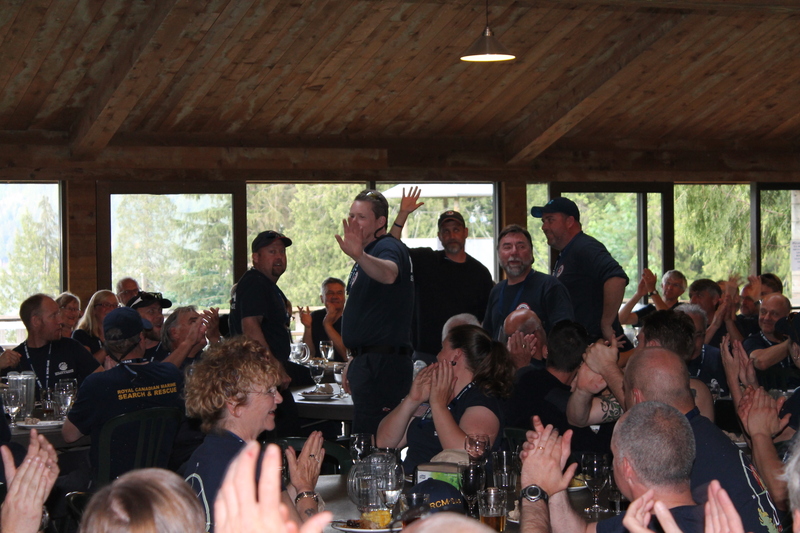 Each night, after an amazing meal from the YMCA Camp Elphinstone staff, we had an opportunity to spend the evening talking and laughing with RCMSAR members. They were all very interesting and certainly an eclectic mix of new members both young and old and the “salty dogs” who have been members for years. We met so many great people and learnt so much in these evening chats that it is difficult to mention all of them but I do want to call out a couple of very special people we met. 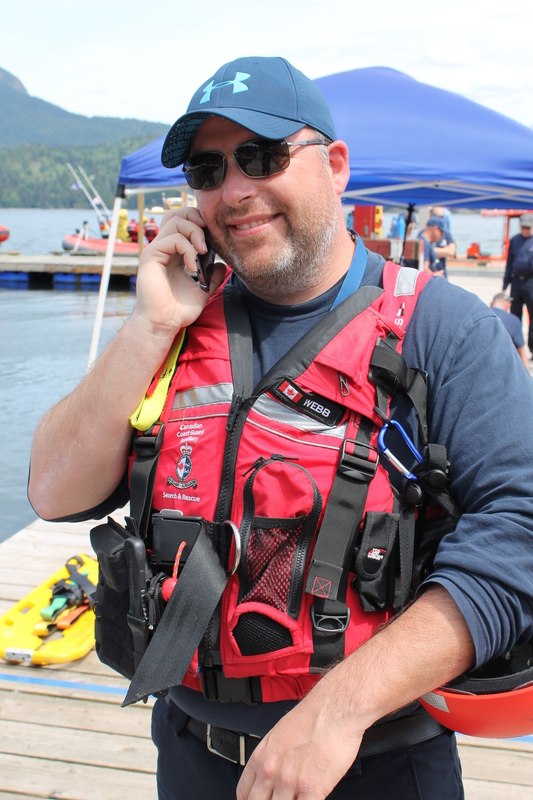 Pat Quealey, the new RCMSAR CEO, who we had met him briefly in Sooke sat with us on Saturday night and we took the opportunity to chat with him and learn all about his passion and admiration for the work of the RCMSAR membership. He had a lot of great ideas to share with us and I look forward to all of the wonderful things he has in mind for RCMSAR. I wish him all the best. 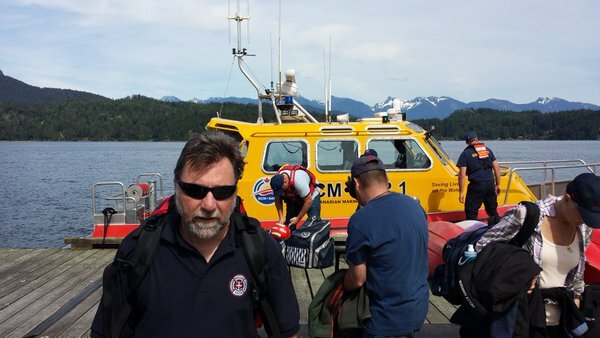 Randy Stradt, Past President of RCMSAR, our gracious host, took time not only to help arrange a lot of our pre-SAREx tour but also took his own time at meals and at night to chat with us and ensure we were having a good time, which of course was never an issue. He was such a wonderful host and I am grateful that I had the opportunity to meet and chat with him over the two days. 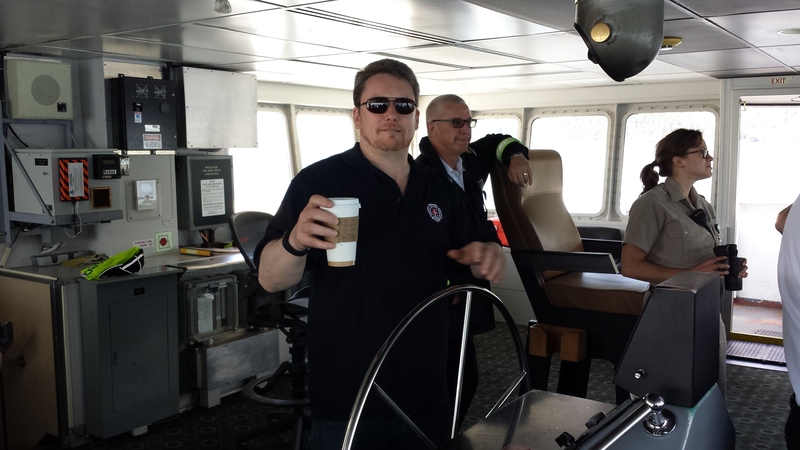 Greg Miller is the current RCMSAR President and despite the numerous demands on his time we had a chance to talk to Greg and get to know him in a more social setting. 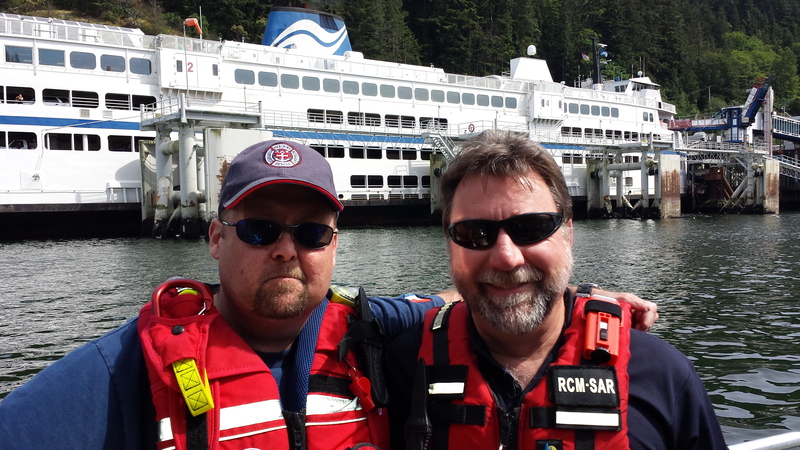 I cannot thank him enough for taking the time to talk to us and, as with Pat, share his experiences and passion for the work RCMSAR does through its volunteers. I could go on and on as we met a lot of great volunteers and, perhaps not surprisingly, a large number of transplanted Ontarians, including Wendy who took such good care of us, that have made the trek out west to BC. 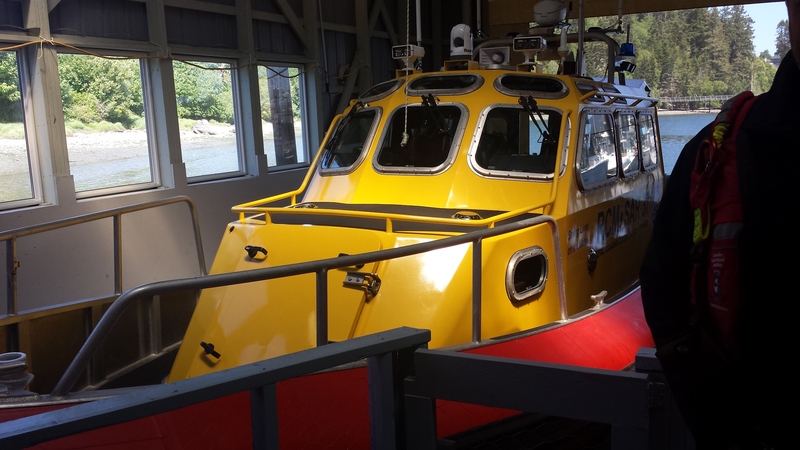 We made a lot of new friends and remember if any RCMSAR members come out to Pickering, our vessel is always open for a visit, just drop us a line. 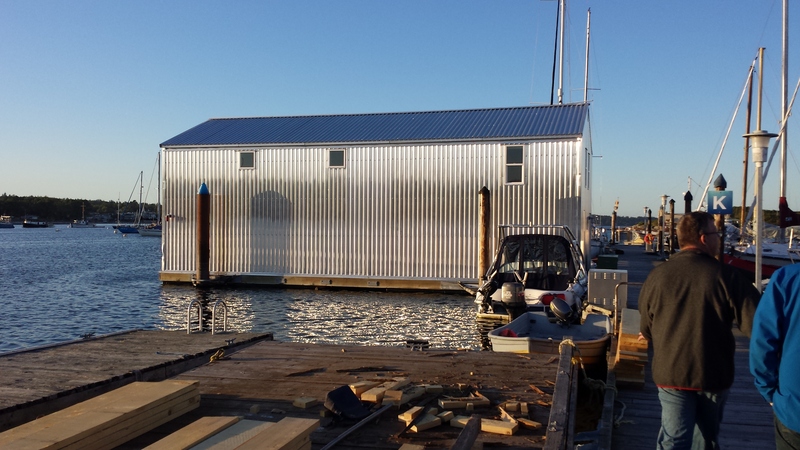 Oh don’t forget our vessel is out of the water from November to March so if you come over the holidays we will have to show you her in her winter home. Our day ended on Sunday around 3:30 pm when our group finished our final on water station. 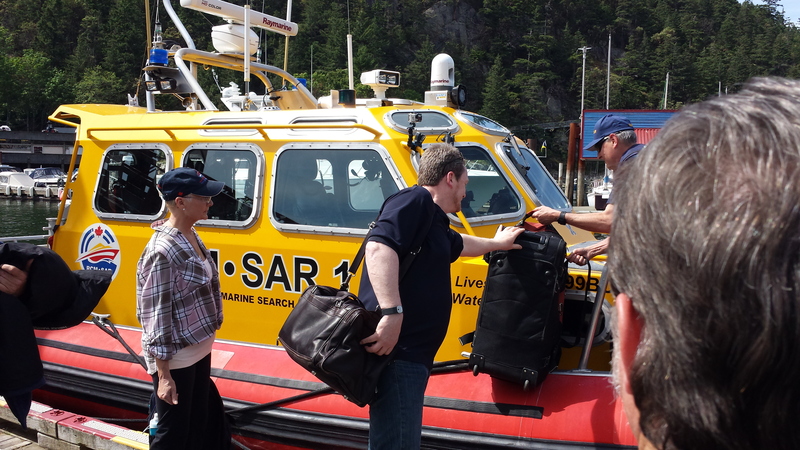 So while some of the local stations began loading up their own vessels to head back to their stations, we packed our bags, leaving the sleeping bags behind as donations to the camp, and caught a ride to the local ferry station. A quick trip back to Horseshoe Bay allowed us to take our final trip back to Vancouver International Airport to catch our flights home. While most of us were flying out that night, a couple of the members were staying a little longer. At the airport we said our goodbyes and after 5 days of close quarter travelling, I can honestly say in my opinion we are a lot closer then when we had originally planned this trip back in the winter. We had so many great laughs, some wonderful food, cold tasty beer and most importantly an experience together that had such synergy that we were able to bond in a way I would not have thought imaginable. Looking back on our adventure I smile knowing I had an experience I won’t soon forget. I met some great new people who love to do what I love to do. I re-meet my fellow PARA members in a way I had not thought would happen and learnt more about them than I had in the years I have been a member of PARA. We saw things I never thought I would see and I did things I never thought I would do and for all of that I am very grateful for the opportunity. It might have cost a little bit of money but it was worth every penny and then some. So with that let me end with a thank you. First of all I cannot thank everyone enough for their warm hospitality and kindness in welcoming us to BC and in particular a thank you to the folks at Station 1, 2, 33, 37 and the new Training Facility who welcomed us into their “homes” with a friendly smile and a kind handshake. 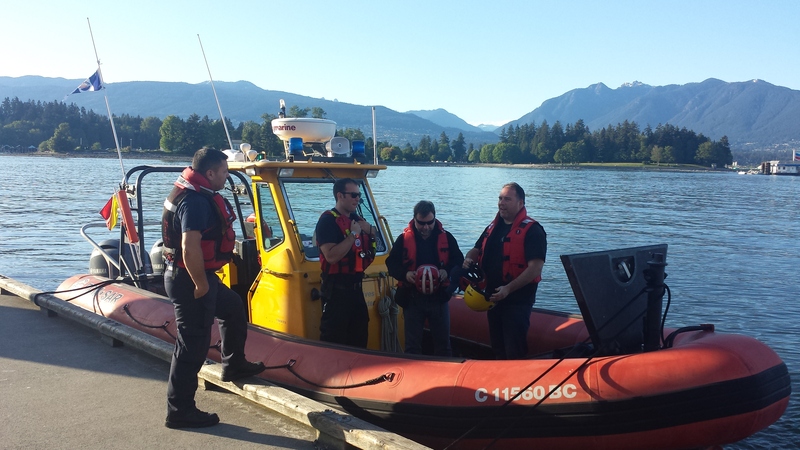 A big thanks to Dan and his crew at Station 2 and Rob at Station 37 who took us out on the water to see the local waterways. To Terry and Kim who took time out of their evening to talk to us about fund raising and running a station. 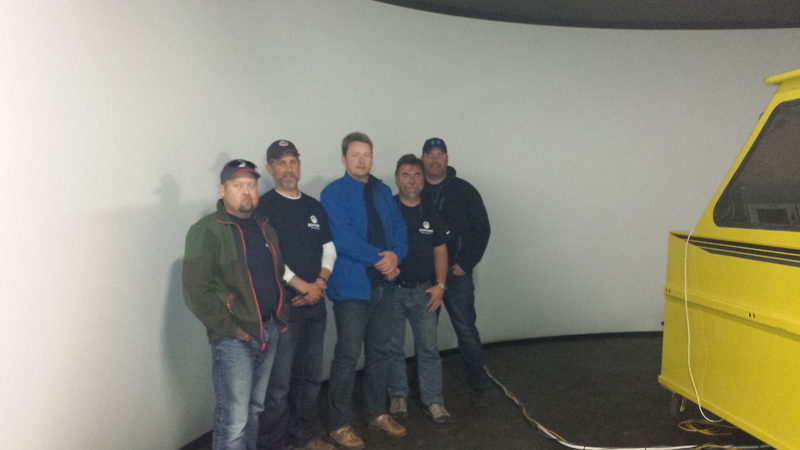 A very big thank you to Pat and Francois at HQ and the new training facility who treated us to a vision of the future holds for RCMSAR and its training program. 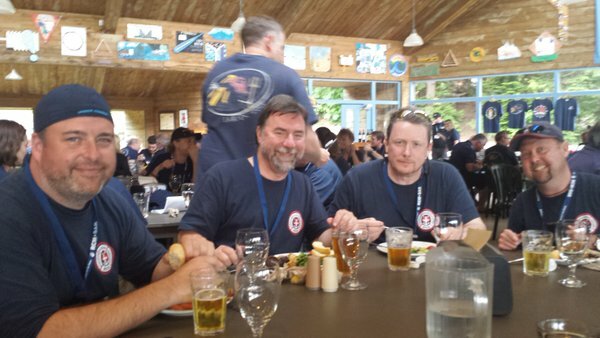 Thank you to the staff at Camp Elphinstone who treated us all at SAREx 2016 like royalty with warm meals and gracious hospitality. 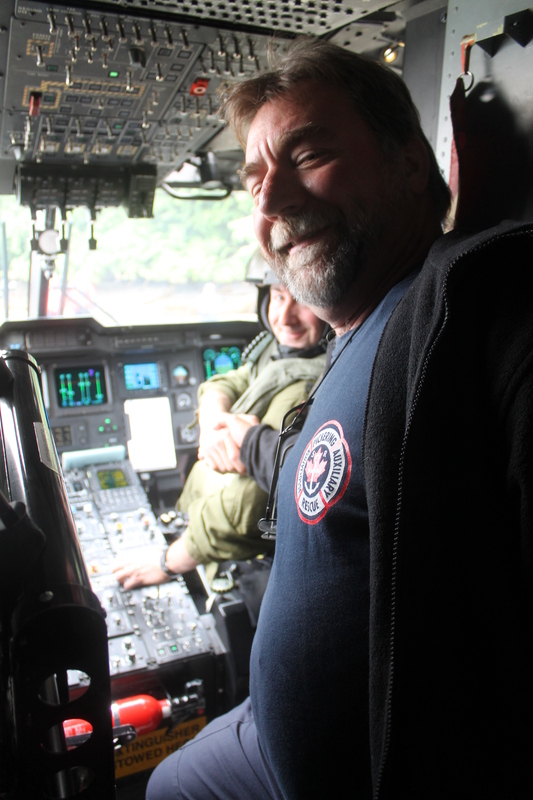 A thanks to our guide and the folks at CFB Esquimalt who not only permitted us to tour the base but as members of CCGA allowed us to stay in the Wardroom. 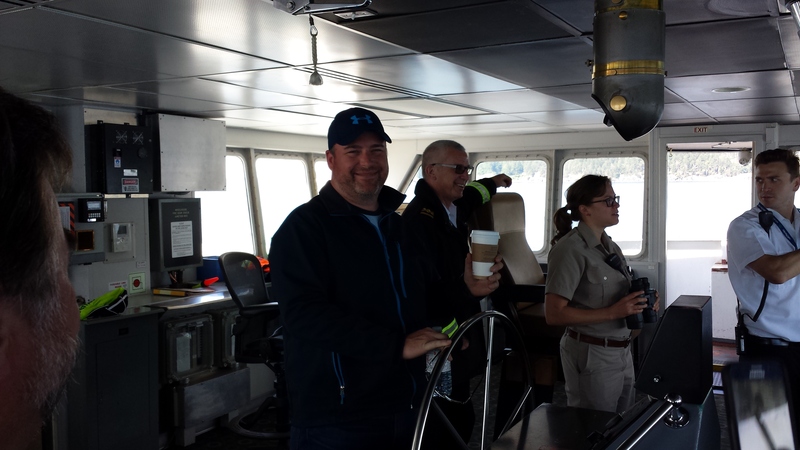 To the captain and crew of the Queen of Cowichan who were kind enough to let us visit them on the bridge. Of course we cannot forget Ian, Randy, Alistair, Dugal and all the members of the SAREx 2016 organizing committee who gave all of us a wonderful experience in our two action packed days. To Clint, a silent member of our touring group who spent so much time organizing our visit and was unable to join us. To Gary and Colin who organized a number of the side tours we had a chance to experience. And a final heartfelt thank you to my fellow travellers, Gary, Chris, Colin and Jason, your companionship was greatly appreciated. We had such a wonderful time getting to know each other, sharing many laughs and learning so many new things that we can bring back to our fellow PARA members. You provided a level of companionship that is rarely matched. We spent 5 days packed together and yet there was not a single moment of frustration or anger. It was a true pleasure spending this time with you and I will always remember that part of the experience.